This is a genus that encompasses a group of small spotted cats that are generally found in Central & South America throughout a wide variety of habitats and ecosystems. Although most of them are the same size as your neighborhood house cat they aren’t nearly as friendly. 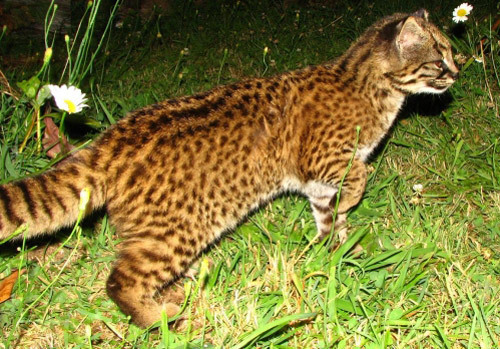 These animals are the oldest branch of the cat family to cross into the Americas. Interestingly enough the leopard is not in this genus, they are in the Panthera genus. The Andean Mountain Cat is a highly specialized animal that is only found in the Andean mountain region of Peru, Bolivia, Chile & Argentina. 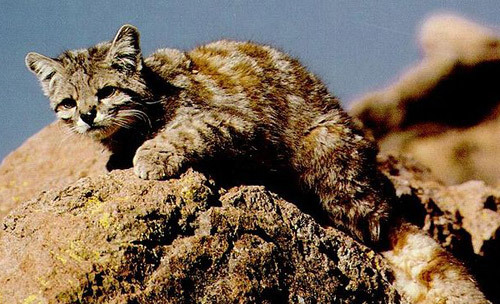 Nocturnal hunters, the Andean cat uses it’s tail for balance while navigating it’s rocky terrain. 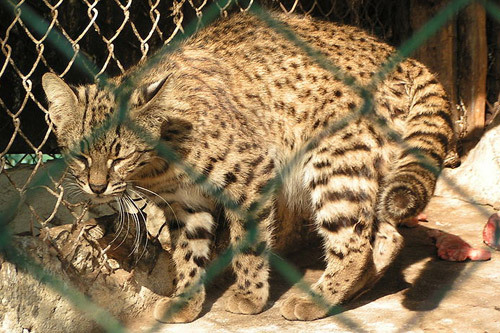 Protected throughout their geographical range this cat is considered endangered. The Colocolo has a larger range than any of the South American cats and can be found from top to bottom of the continent in a wide variety of habitats. They are predominately nocturnal and generally solitary creatures. This genus is considered endangered by some and rare by others, their habitat slowly being taken from them. The Geoffroy’s Cat can be found through most of the southern half of South America, including Argentina, Chile, Bolivia, Patagonia, Brazil, Paraguay & Uruguay. They are primarily nocturnal, avid swimmers and tend to be secretive & elusive. Geoffroy’s Cat is the most common wild cat in South America, though they have a near threatened status & are fully protected by the law. The Kodkod or the Guigna is found in central & southern Argentina & Chile predominately in temperate forests of the Andean & Coastal ranges. These cats are nocturnal, spend much of their time in trees & are thought to live in social groups. These cats don’t appear to be in particular danger, their adaptability when it comes to habitat allows them to avoid heavily populated areas. The Margay is found in forested areas from north Mexico to Uruguay to north Argentina. This cat is known for their artful climbing and though solitary they are active day and night. 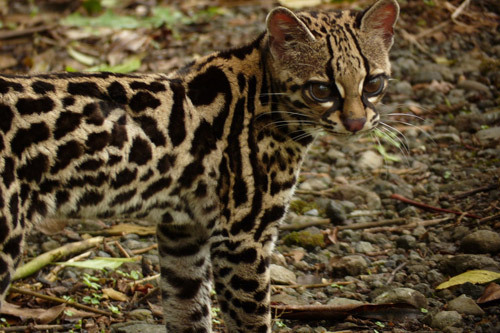 The Margay is rare & endangered throughout its native habitat, hunted & harvested for their fur. 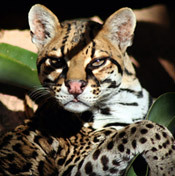 The Ocelot can be found from Southwestern Texas to northern Argentina. They live in a wide variety of habitats and are known for their particularly beautiful coats. 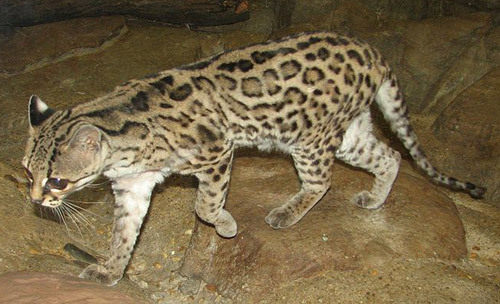 The ocelot is protected by the Lacey Act (probably due to that pretty coat) and habitat destruction is their primary threat. 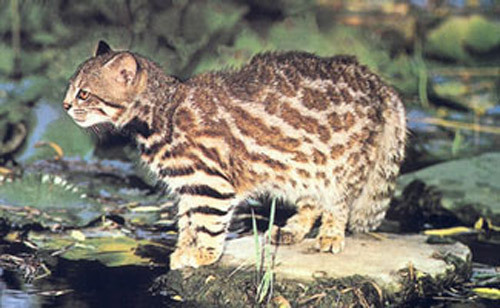 A tiny spotted cat, the Oncilla is a rare cat and the extent of their range is unknown. They have been seen as far north as Costa Rica & Panama as as far south as se Brazil & northern Argentina. Little is known about these animals, but they are thought to be nocturnal & solitary. 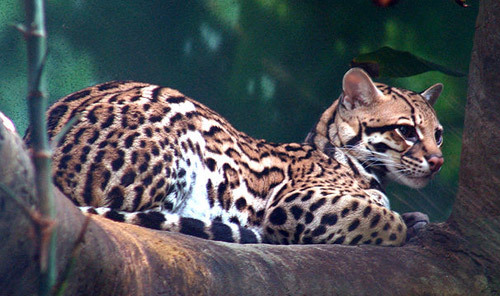 Considered different stages of classification in different countries, the Oncilla is only protected against hunting in parts of its range. 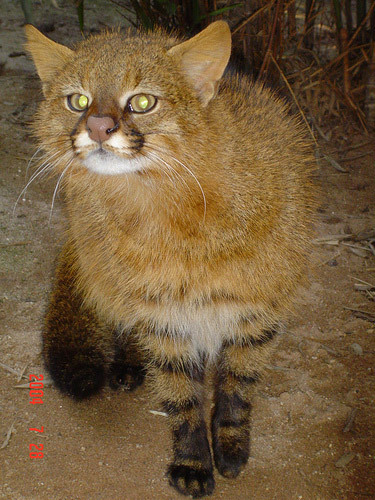 A small cat found in the Pampas area of Argentina & Chile, until recently the Pampas Cat was considered a subspecies of the Colocolo. This cat is highly adaptable and found in a wide variety of habitats. We couldn’t find much info about their numbers or the status of the Pamps cat, if anyone knows tell us. The Pantanal Cat is a small feline native to Brazil, Paraguay & Uruguay, until recently they were though to be a subspecies of the Colocolo. Because they are newly considered their own breed they are not well documented. We couldn’t find any info about the numbers on these cats, if you know drop us a line. And you’ve almost met them all, we have one installment left in which we introduce several small genus. 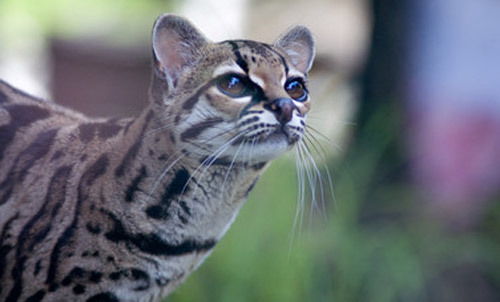 Your Pantanal cat image is not correct, it is a margay. You used the Pantanal cat image for “colocolo”. THERE ARE IMAGES OF TRUE CHILEAN COLOCOLOS OUT THERE, BUT MAY BE COPYRIGHT PROTECTED.